Sunny with a chance of showers. Winds will be variable 10-15 mph. 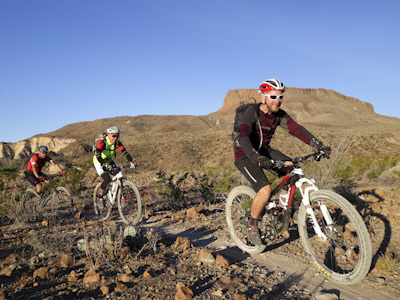 Desert Sports specializes in mountain biking and river running in both Big Bend National Park and Big Bend Ranch State Park. Our dedicated staff has a special interest in exploring and sharing this corner of Texas in the Chihuahuan Desert. As one of Big Bend’s smallest outfitters, we can give your trip the special attention you deserve. 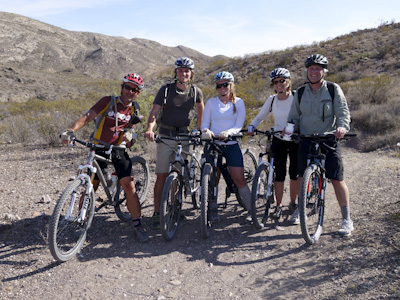 With over 20 years experience, Desert Sports’ knowledgeable staff is here to help you plan your Big Bend Adventure! 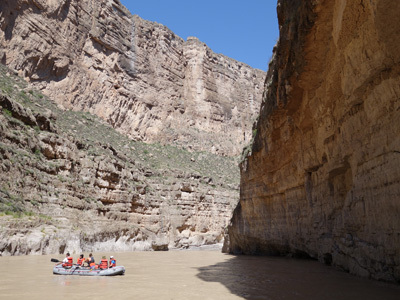 Whether you’re into Big Bend’s boating, mountain biking, or hiking, we’ve got it covered with great guides and itineraries! See dates for trips with available space. Join us on our favorite river and backcountry tours! Stop by the shop in Terlingua for cycling and outdoor essentials. Maps, trail info and experienced mechanics! 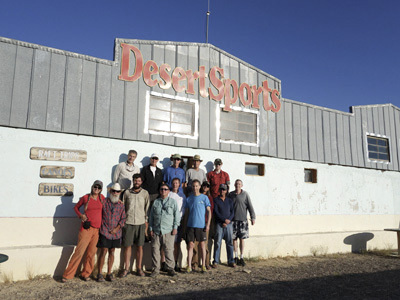 Desert Sports rents quality mountain bikes and canoes. Ask us about our shuttle services!